Camping on Vancouver Island is wonderful. It is so expensive to get a trailer onto the island that, once you are there, you always find a campsite. 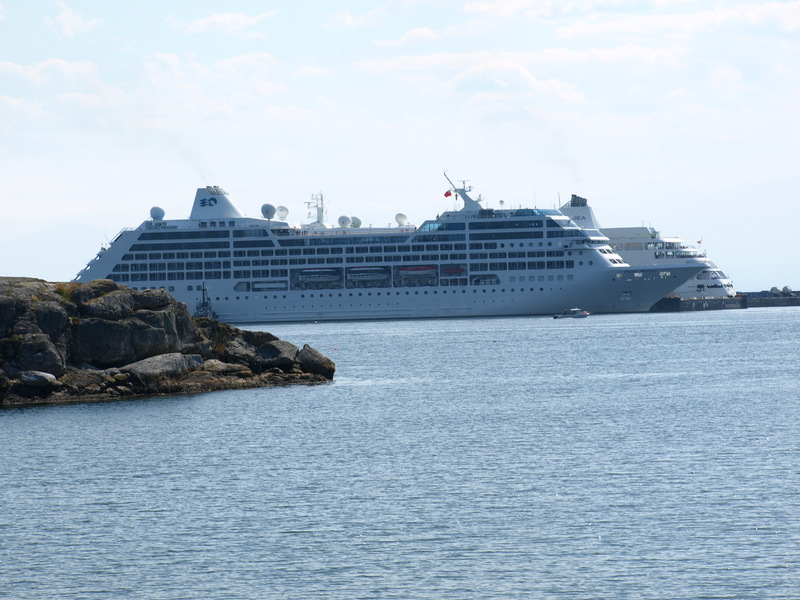 Westbay Marine Village is located right on Victoria’s harbour so it has spectacular views of the city. All the downtown Victoria attractions are five minutes’ drive away. If you don’t want to drive, Victoria Harbour Ferries can take you straight from the park to the heart of the city, or you can bike or walk as it is only 4 – 5 kilometres. Downtown Victoria has a lot to do and see – whether you have young children, teens or are on your own. 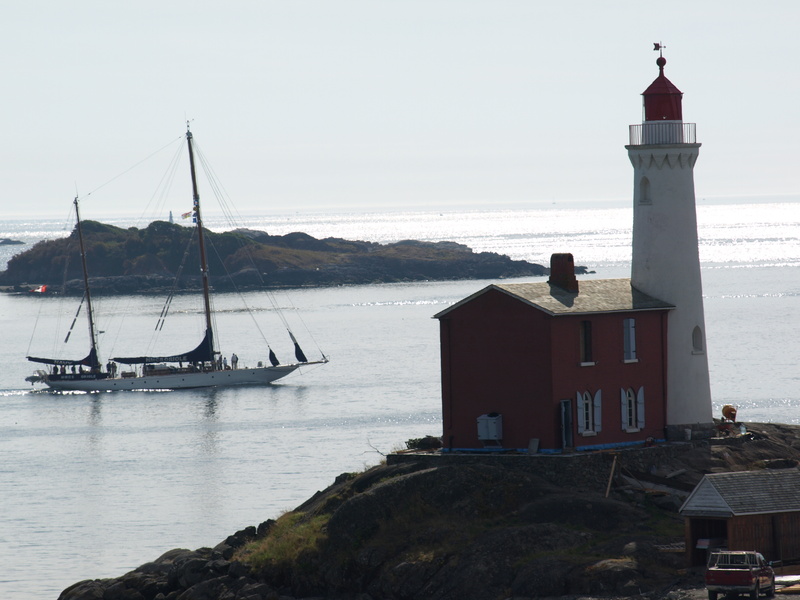 Here are a few of the activities, starting with a link to the Victoria tourism website. 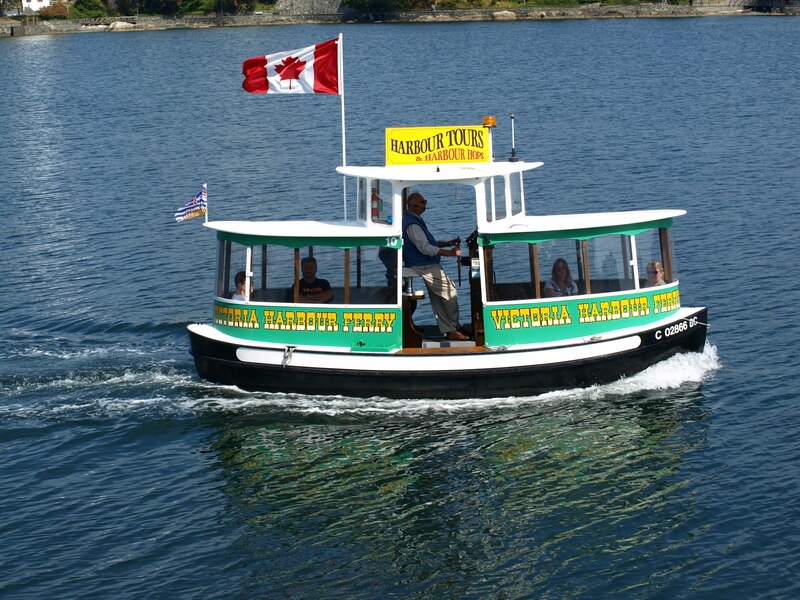 The website is accurate – sites 10 through 28 have an amazing view of downtown Victoria, and all the activity with boats and sea life. We stayed there in 2009, and although I don’t recall exactly what site number we had I think it was likely #10, guessing from the RV site map. Even though we weren’t in a site with the best view (it was a last minute trip), we still got a lovely view out over the water to downtown, and were close enough to the float homes next door and the seawall path to also enjoy watching the activity there. As you can see, our site (and I think most of the sites) were gravel; although it doesn’t look as nice as grass it sure helps to keep the dirt out of the RV! 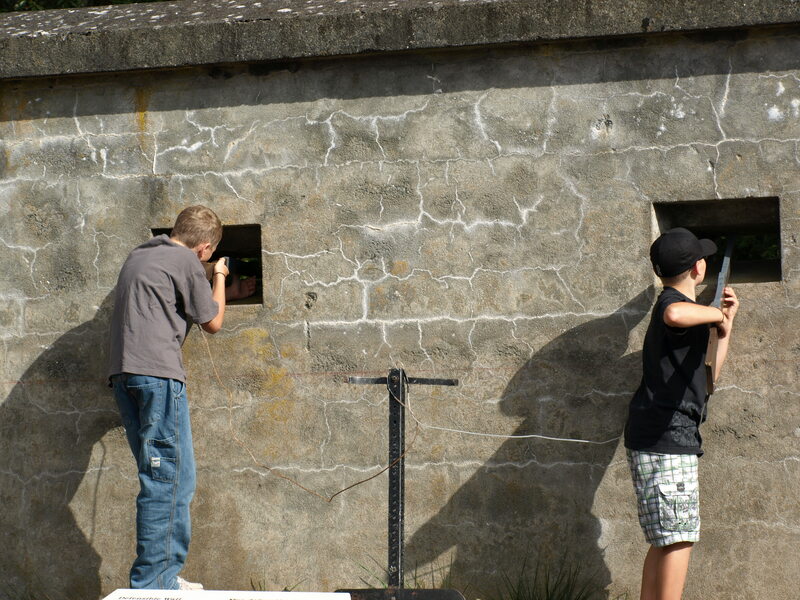 Visit Fort Rodd Hill or other nearby attractions like Butchart Gardens, Butterfly Gardens, or Beacon Hill Park. Go whale watching or kayaking. We decided at the last minute that we wanted to go to Vancouver Island for the Labour Day Weekend, and took a couple of extra days on either side to squeeze in both some time in Victoria, and also visits with friends near Campbell River. 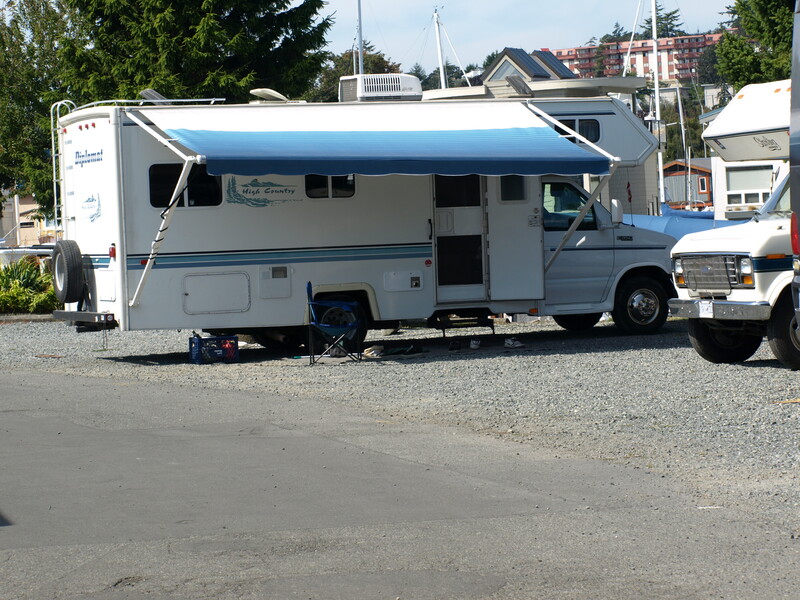 We found this RV site and decided to give it a try since it was so close to Victoria, and with the motor home it’s not easy to pack everything up and head out every day for a drive. We loved the location – it was easy to get to and also easy to get into downtown. One day we walked around the harbour and over the bridge, and another day we took the little ferry, which stops right at the RV site! No surprise that the boys enjoyed the ferry more than the walk! While downtown, we went to a few sites we hadn’t been to before – the Wax Museum which seems to have since moved, the Empress, Fisherman’s Wharf, and a lot of walking around and of course eating. On other trips we have gone to see Miniature World and of course the Royal BC Museum. The museum is a must see – check out which exhibits are on before you go and you may be able to time your trip for something you find of particular interest. After we left the RV site, on our way up to Campbell River, we stopped at Fort Rodd Hill for an afternoon. It was beautiful and peaceful, with deer right beside the walkway, and very few tourists this time of year. Views out over the ocean were breathtaking, and the boys loved seeing the cannons and guns and learning about the history of Fort Rodd, established to defend Victoria and the naval base at Esquimalt harbour, from 1878 to 1956, and Fisgard Lighthouse, the first lighthouse on Canada’s west coast. ← WPC -Motion, The Face of Emotion. This is an amazing campground! I can’t say I have seen many with a better city location – ever!